In order to attend a wedding reception at the Civic Club of Harrisburg, Patti had to debut on this unusual, to us, accessible technology. 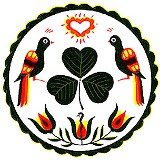 A team of three to four people were needed for successful use. Transferring, operating key controls at top of stairs, physically carrying wheelchair up another set of stairs, and someone to walk along with her to minimize any cognitive complications while in motion. However, catering staff could not have been more helpful and sensitive … and the bottom line is that it worked. … and coincidently it was also Patti’s parents’ 56th wedding anniversary. 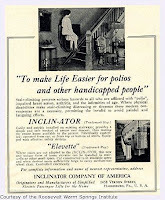 Interestingly, the Inclinator Co. of America, manufacturers of the StairLIFT has been based in Harrisburg, PA since 1923 when C.C. Crispen, after visiting a sick friend confined to the second floor during recuperation, created a seat that could climb stairs. 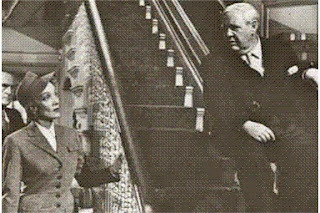 While Patti might ride the StairLIFT Inclinator on You Tube, according to the Inclinator Company of America Charles Laughton beat her to the big screen riding a StairLIFT Inclinator in “Witness For The Prosecution” (1957). Courtesy of the library of the Disability History Museum click on this thumbnail to view a 1933 advertisement for this Pennsylvania invention and accessibility challenges 75 years ago. Of course, this means that you better make sure you need the stairlift, because it can not be restored to the factory. This means that your stairlift will become more expensive than straight. Individuals in one degree livelihood situations be inclined to cope with these circumstances in an even more familiar way than those management the day-to-day chore of disappearing up and down steps. I really appreciate you sharing this info! I've been wanting to learn more about inclinators and how they work. 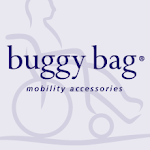 It's good to know that there are lifts to help people who have disabilities get up stairs and other steep inclines. On the other hand they will help you to win and earn a lot of prizes during each match. ICC approved Zimbabwe team’s membership late in 1992. Zimbabwe is in pool B for 2015 world cup with West Indies and five other teams. 2015 ICC WORLD CUP CRICKET THE BIGGEST SPORTS EVENT OF 2015 why I used the word biggest for this tournament? This is because almost all international cricket teams participate in the tournament. Thanks for sharing, it was interesting to read!